Knopf Books for Young Readers, 9780525579083, 416pp. From the #1 New York Times bestselling author of How to Hang a Witch comes a thriller set at a secretive boarding school where students are trained to carry on family legacies that have built--and toppled--empires. Think Umbrella Academy with teenage assassins. November is as good as dead. She just doesn't know it yet. At the international Academy Absconditi, there's no electricity, no internet, and an archaic eye-for-an-eye punishment system. Classes range from knife throwing and poisons to the art of deception. And the students? All silver-spoon descendants of the world's most elite strategists--training to become assassins, spies, and master impersonators. 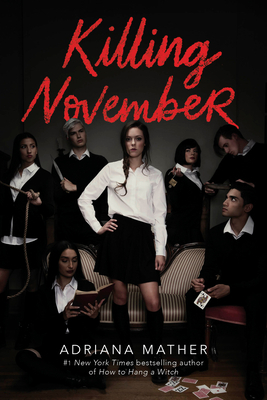 November doesn't know how an ordinary girl like her fits into the school's complicated legacy. But when a student is murdered, she'll need to separate her enemies from her allies before the crime gets pinned on her . . . or she becomes the killer's next victim. From New York Times bestselling author Adriana Mather comes the first book in a thrilling new series that will leave you breathless.